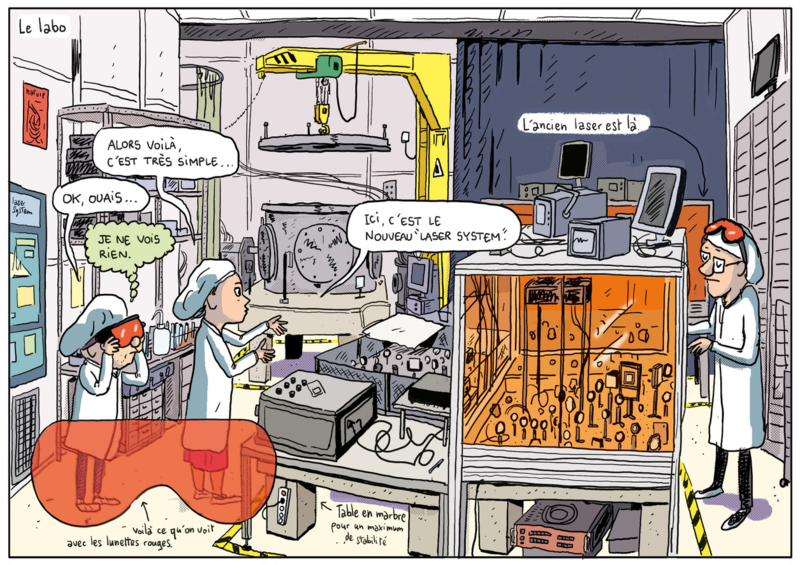 The Laboratory for Intense Lasers has been recently featured in the cartoons of Mathieu Sapin for the Spirou magazine. In this special issue dedicated to science (October 2015), Marta Fajardo and Celso João showed Mathieu Sapin how the most powerful laser in Portugal works. Mathieu Sapin also learnerd that the “Holy Grail” of lasers is not to develop a Jedi light sabre (Image from the SPIROU magazine. www.spirou.com © Dupuis 2015).